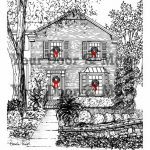 I love sketching homes for annual Christmas cards. 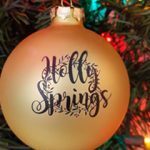 With this adorable condo – I helped out Woody spread the joy of the Holidays! 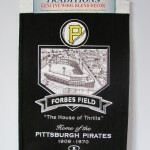 Forbes Field was a baseball park in the Oakland neighborhood of Pittsburgh, Pennsylvania, from 1909 to 1971.